I’ve spent much of 2017 on the road at vegan festivals, activist workshops and animal rights arts events talking about the obstacles that men have to reducing their meat consumption and even ending their exploitation of animals. This work is based on interviews I did with 40 vegan men in 2016, and which I wanted to use in reaching out to audiences across the country in a more immediate way than through writing. 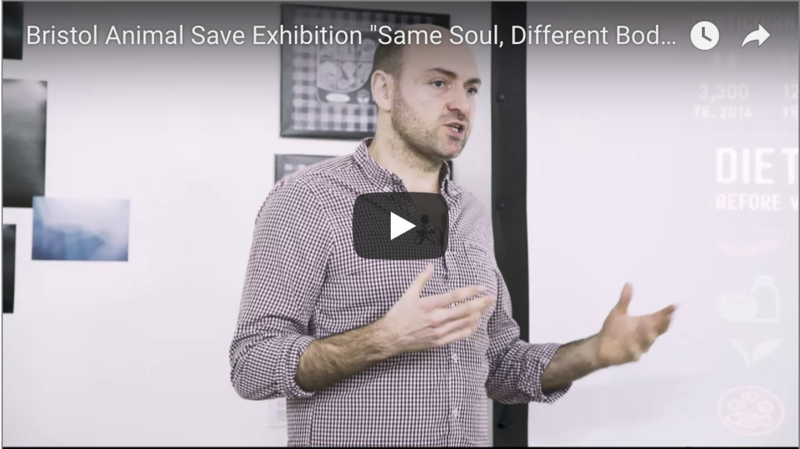 Thanks to the wonderful documentary cinematographer Florence Pellacani my talk and presentation was captured on film at my penultimate tour event in Bristol on 18th November, at the Bristol Animal Save ‘Same Soul, Different Body’ animal rights art exhibition. You can view it here. Thanks especially to Josephine, Lydia, Cazzie, Melanie, Nathalie and Toby and everyone else I met and was able to engage with in Bristol.